…so you are assured of a genuine and warm Calabrese experience on your visit. 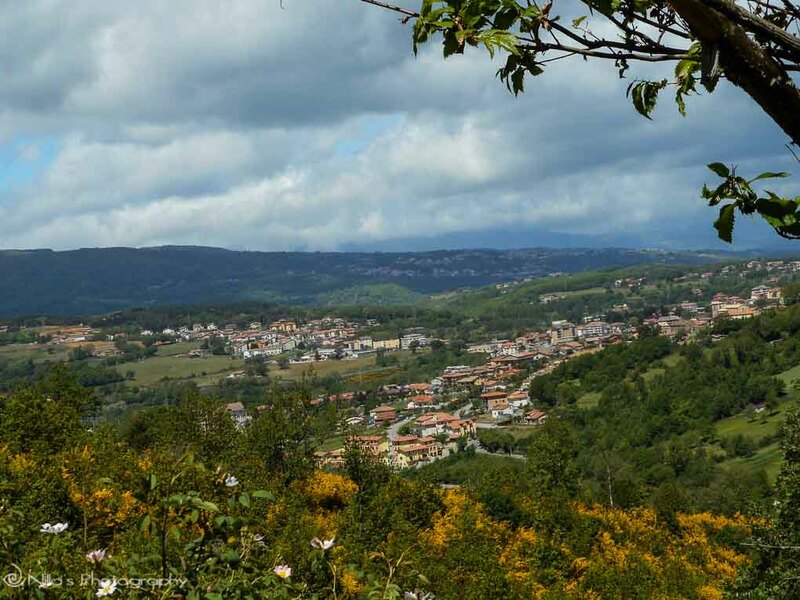 It also helps that I’ve made wonderful friends that live in Le Manche – a mere couple of kilometres up a steep hill, from Rogliano, which makes visiting Casa Maria, a highlight in anyone’s stay. If you’re lucky, you may get to travel on a double-carriage train. This is a much newer train and in use when festivals and fairs such as the St Joseph’s fair is on in Cosenza, as these events draw many people to the city from neighbouring villages and region. 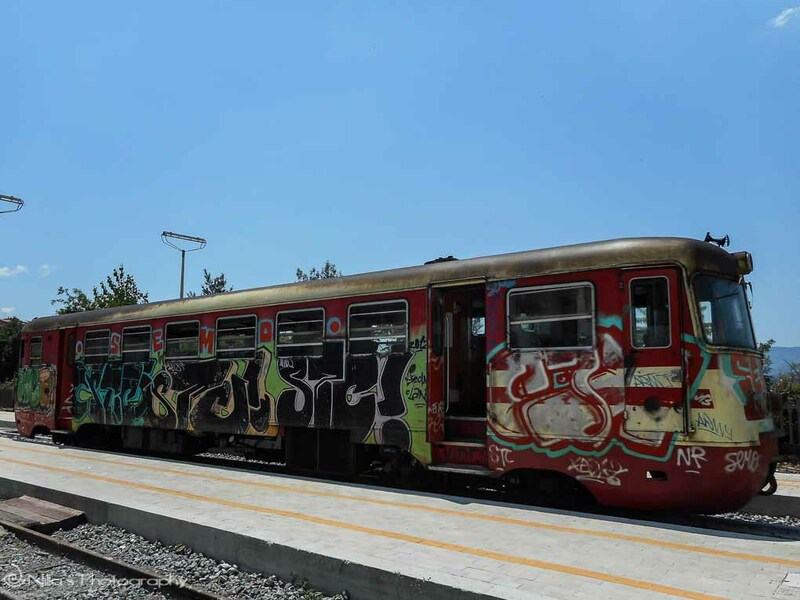 Typically, from Cosenza’s Central train station the rickety old one-carriage graffiti-splattered train (€2.40), whisks you around the hills to Rogliano. Well perhaps ‘whisk’ isn’t quite the right word and ‘chugs’ is better, as you travel on a diesel train. 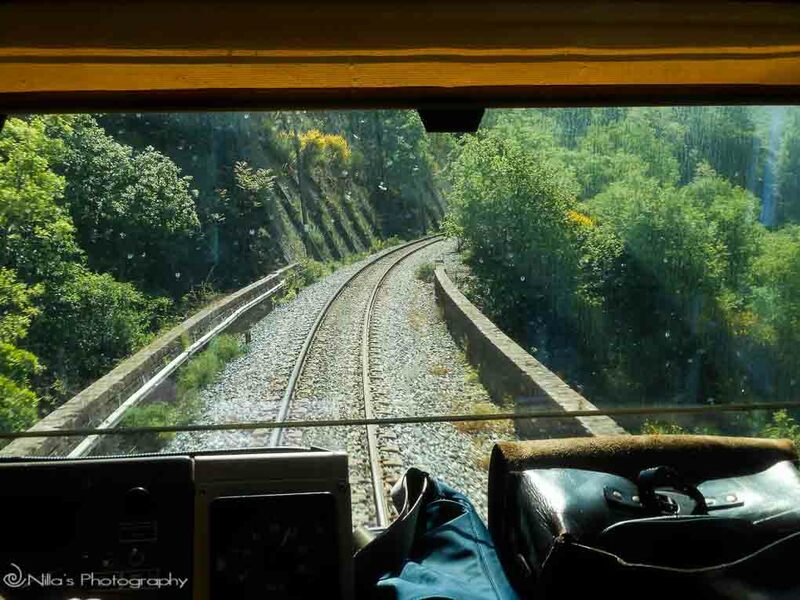 The journey takes about half an hour, travelling through beautiful mountainous countryside and forests, whilst you steadily climb the surrounding deep valleys. I love this little trip to the mountains – it’s quite special and never tire of the view. And, always reminisce as to what this area must have been like when my father and his family grew up here, shame I didn’t ask more questions when he was alive. You never seem to ask questions about your parent’s heritage whilst growing up, so all that history and experience is lost forever once they’re gone. 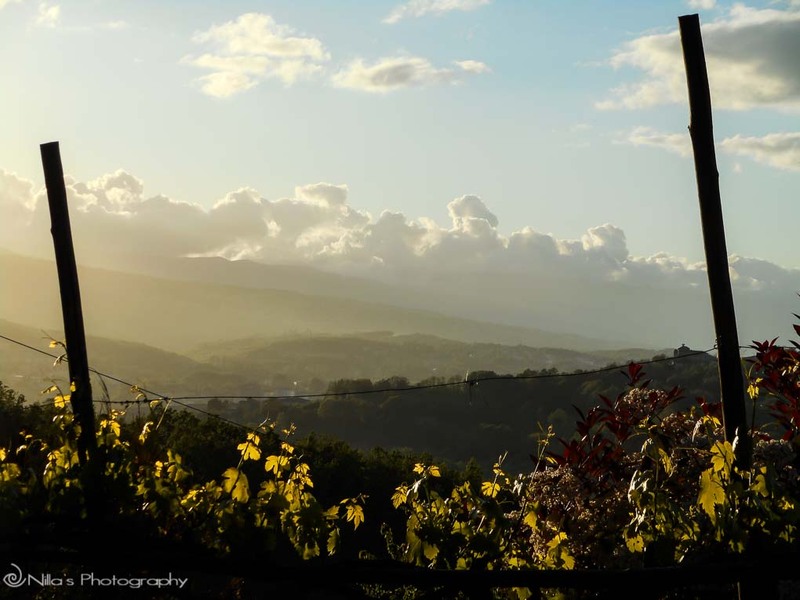 The more time I spend in Calabria and meeting wonderful southern Italians, the more I want to learn about this region. Everywhere has it’s ups and down, and I’m not saying this area is perfect, but it has been good to me so far and I’m enjoying living here. These are the kind of thoughts that cross my mind during this short train trip. I am lucky to travel through the various seasons, which provides a natural ever-changing and colourful backdrop – one more beautiful than the last. Tip: Trains from Cosenza run on 2 different timetables during the year. The changeover for summer is from July to September and typically, less trains are scheduled. 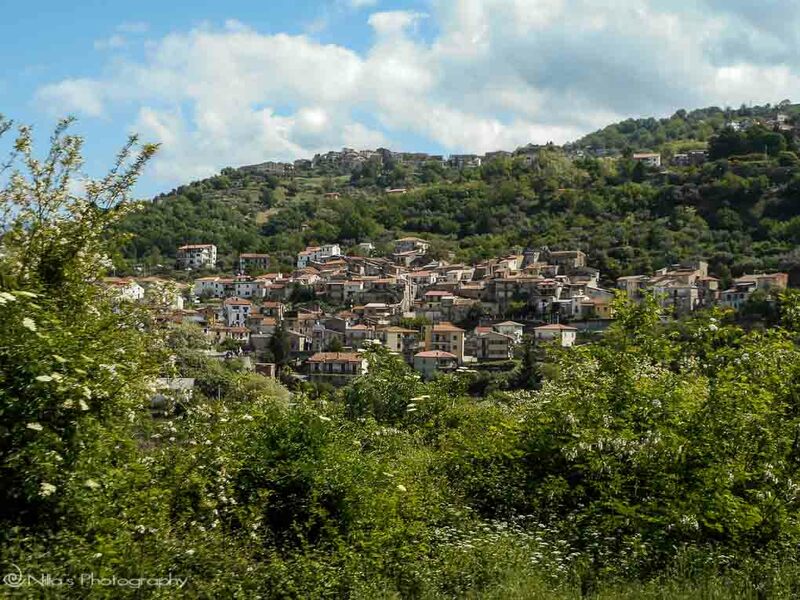 Rogliano is the village where my grandmother was born, so I feel that my roots belong here, similar to my father’s village (Parenti), which is about a short 25-kilometre crazy bus ride into the mountains from Rogliano. In these small isolated villages during my grandmother and father’s times, I’m told that babies were delivered in their homes and not in hospitals. Typically, this was by a neighbour with some experience and a stand-in midwife. Lighting was scarce. Life was very basic and rustic. 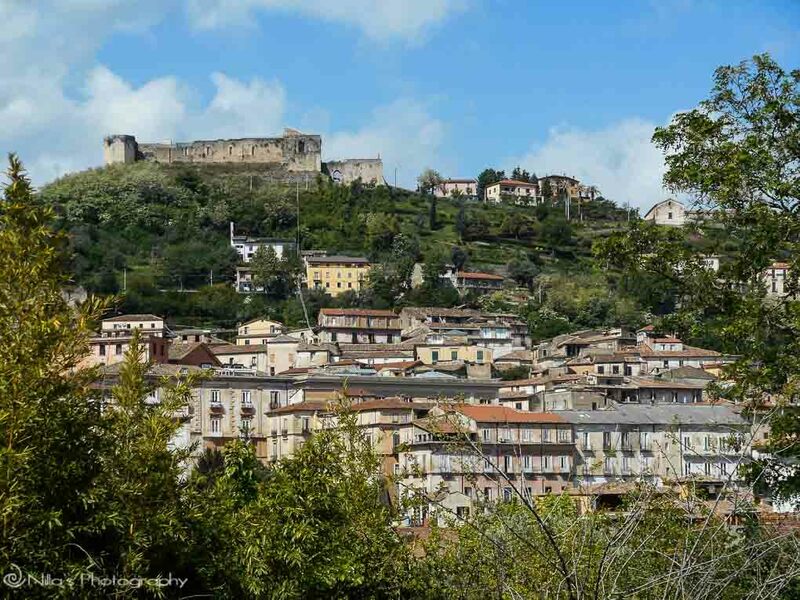 Today however, Rogliano boasts around 6,000 residents and although quaint, is bustling with many restaurants, coffee shops, museums, shops, and the medieval Old Town. Many trips to Rogliano throughout this year to catch up with friends, continue on a wonderful steam train trip (Il Treno della Sila) through the Sila National Park, and a bus trip to the Amalfi Coast. Loads of fun and a great way to see Italy. 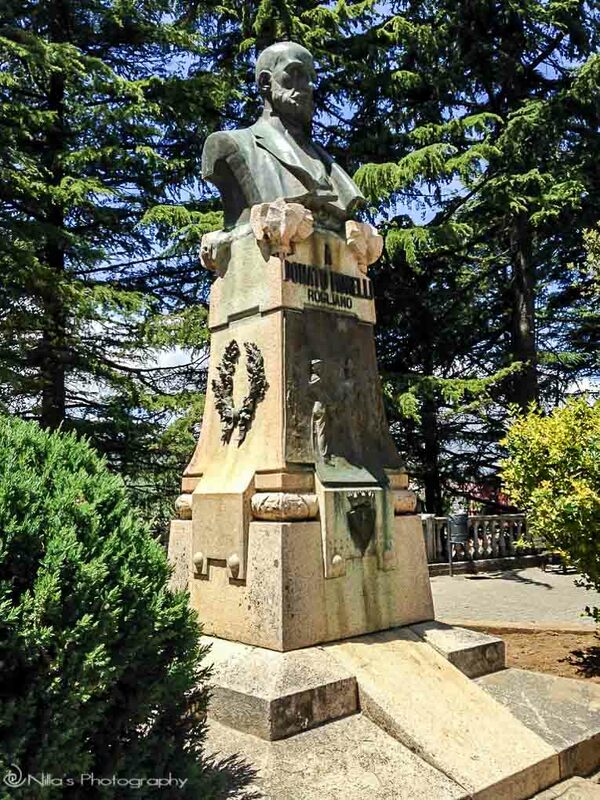 Not to mention the scrumptious food that’s either prepared for us at Casa Maria or enjoyed when venturing to Rogliano’s great and inexpensive restaurants. 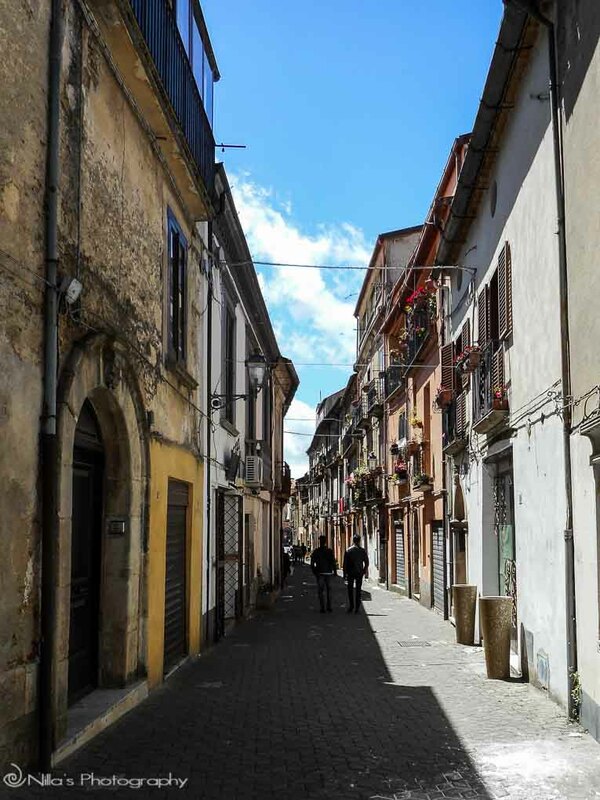 Meandering the streets of Rogliano and stopping for an espresso or an Aperitivo is wonderfully relaxing. The people-watching is also great. I love Rogliano’s village feel and Old Town. A little walk up the hill from the train station, will have you strolling the Corso (main street) with many little authentic bakeries, delicatessens, bar and gelato stops. Once you visit the Corso and especially if you stop and meet a few locals along the way, if and when you return, you will be remembered. Even though my Italian is improving, I don’t really blend in with the locals here or in Italy for that matter, and especially in small villages. Perhaps it’s because my grandmother was from this village and this spot resonates with me, but I can understand the locals speaking the dialect (mostly), which incidentally, is a little different to the Parenti dialect. 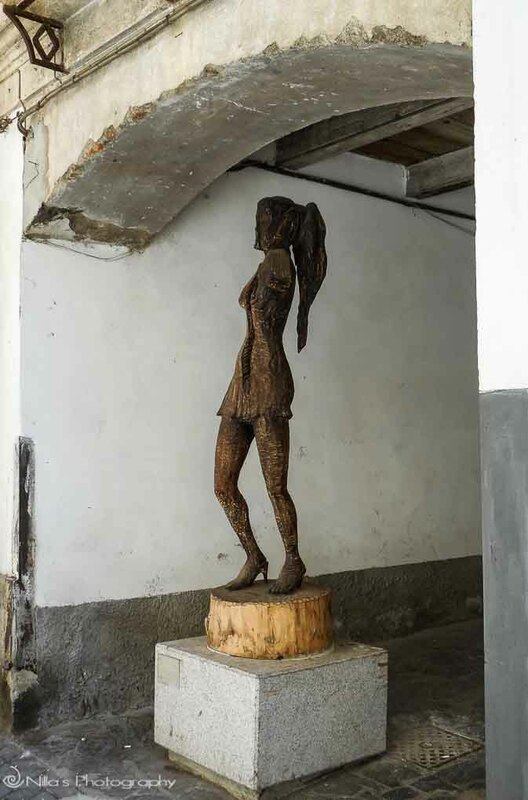 An open-air street art museum with life-size sculptures grace Rogliano’s Corso alleyways, which is worth taking in on your stroll, but more on that later. Following a powerful earthquake, the original village was re-built to its current position, which dates back to medieval times (1300-1400). 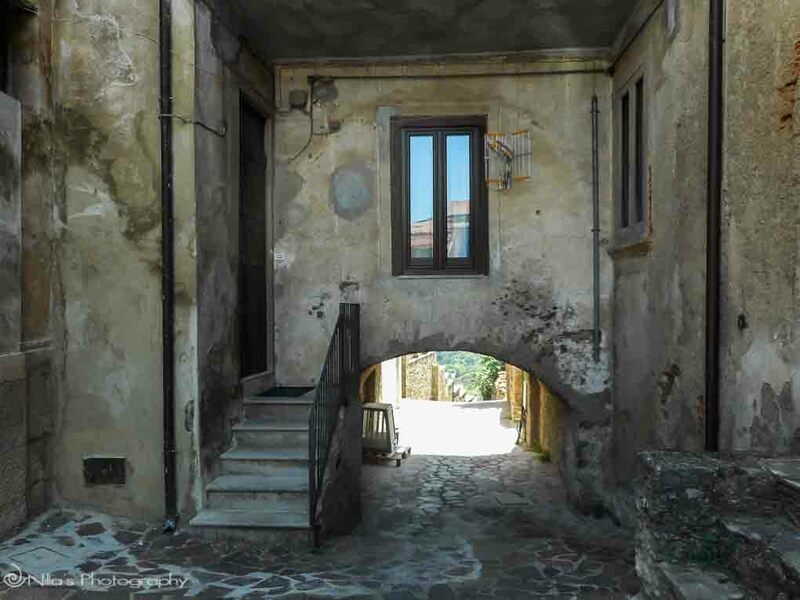 Still in tact and not having suffered the wraths of historical wars, a visit to Rogliano’s Old Town is a must. Climbing up and down the narrow cobbled alleyways, will leave you wanting to stop for a snack and rest. 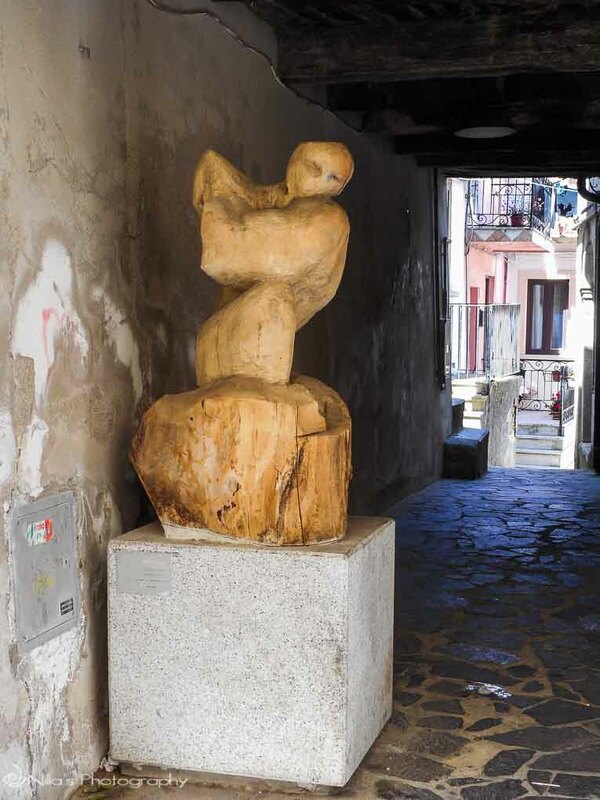 A leisurely stroll along the Corso’s narrow alleyways and it’s not long before you bump into twelve intriguing sculptures made from either wood, stone, or iron. The sculptures were completed during six days and artists only had six hours to complete their piece as the worked was ranked. A few of the sculptures look as if it took more than six hours to complete. Spending loads of time in Rogliano and also house sitting for a week, goes hand-in-hand with sampling Rogliano’s culinary delights…and delights there are many. Although nothing beats our friend’s famous and scrumptious dishes made with loving hands and true Italian food obsession, picking fresh fruit and vegetables from the garden, cooked and straight onto the table. A group of us went to this restaurant that makes the only ‘real’ Pinsa in the village and what an incredible experience devouring this delicious dish! A Pinsa is a type of pizza that I haven’t tried before, never really heard of until I arrived here (I hear echoes of heathen). A Pinsa is made with three different types of flour and is proved for around 150 hours in the fridge. 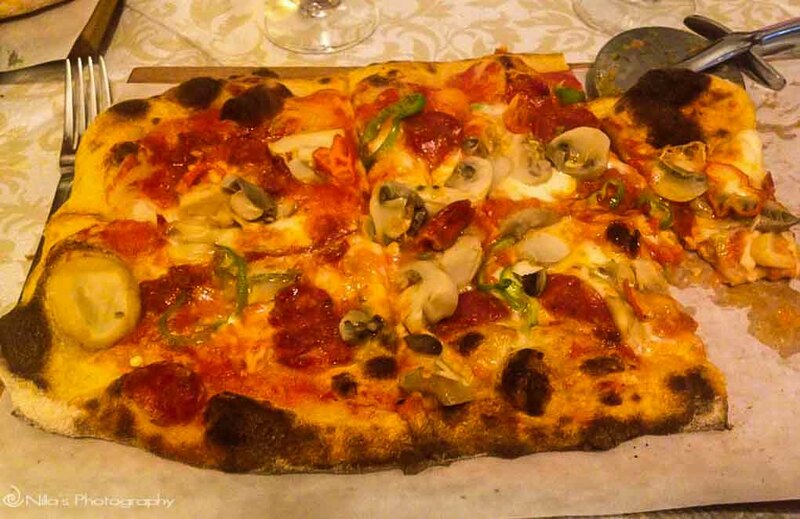 You cannot believe how light and fluffy this type of pizza is – simply divine. I urge everyone to try a Pinsa. Newly opened on Vico Donnanni snc with owners eager to please. 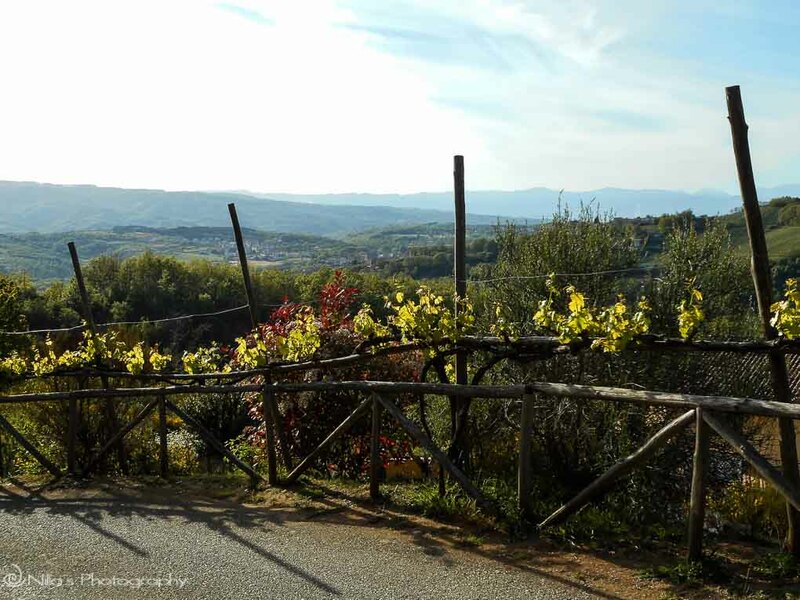 Perched on a higher part of Rogliano, the views from the outside seating area stretch across the picturesque and undulating Camminella Valley. Enter inside to be greeted with a very tasteful and fresh modern décor, which invites a cool atmosphere. The Antipasto (€6+) and Pizza (€3.50+) are simply delicious and servings are plentiful. The usual beverages are available as is bottled and house wine. Eat your excellent pizza whilst enjoying great service in this noisy but fun ambience. Walk along Corso Umberto to discover this quiet pub in Rogliano – well it was quiet until our rowdy group rocked up. Surrounded by exposed ancient stone walls and a low heavy-timbered ceiling, you feel as though you’re thrown back in an old English pub from the medieval period. The blinding difference is the cost and strength of the drinks though – extremely cheap at €6 for 3 rums and one liqueur, accompanied by nibbles. All of this makes for a very pleasant experience, with lovely and friendly staff thrown in. Stop along Via Antonia Guarasci, 18/20 for excellent coffee, pastries (€1.20+), service, and Aperitivo. This is a great breakfast stop for the obligatory café and Brioche, especially on a Sunday morning. At this time, local Roglianese flock and parade along the streets chatting the morning away, before speeding back home like a puff of wind for a leisurely Pranzo (lunch). On Via A De Gaspei, 1/A-1/B, this lovely bar offers excellent coffee (€0.80+) and wonderful baked-on-site pastries (€0.50+). Give this bar a go if you’re in the neighbourhood – it’s worth the stop. 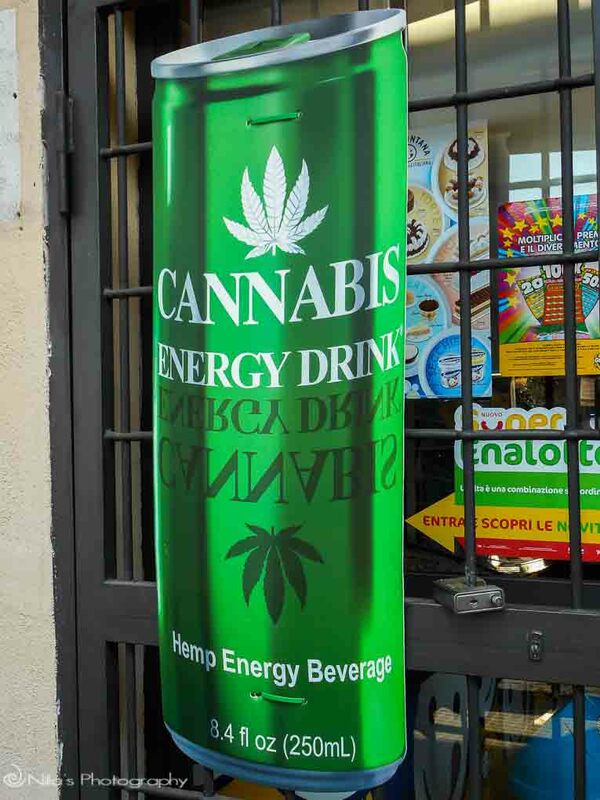 As Santo Stefano is only the next village over from Rogliano so not too far, decided to sample some of the delights on offer here also. On Via Nazionale, 15, lies this wonderful and loud large family restaurant. Don’t expect a quiet tête-à-tête romantic dinner here – it won’t happen. The food is excellent and not over-priced with good pizza (€6+), amazing specialty meat dishes (€8+), and much more. Everything including the wine is made in-house using the best of local produce. Expect great service from the restaurant’s friendly staff. When you think you’re too full even forgoing dessert, the owner insists we try his specialty sweet: Chestnuts drenched in a locally made rum liqueur. Enjoying the liqueur, the chestnuts are a little dry for me…still it’s a lovely gesture and think this is because we’re with our local friends. Sadly, on this evening though, a set of Exorcist twins sat next to our table, and bent on screaming their lungs out – they wouldn’t let up. If I hadn’t been with our friends, I would have said something to the parents who were not controlling the tantrums. Just a quick trip to Santo Stefano on Via Nazionale, is the excellent Dolce Café, which serves wonderful freshly-made Zeppole (€1) and excellent coffee (€1+). Many more pastries and cakes are freshly made on the premise, for your delectation. Only opened a few years, the décor is modern and staff are great in this very busy café. 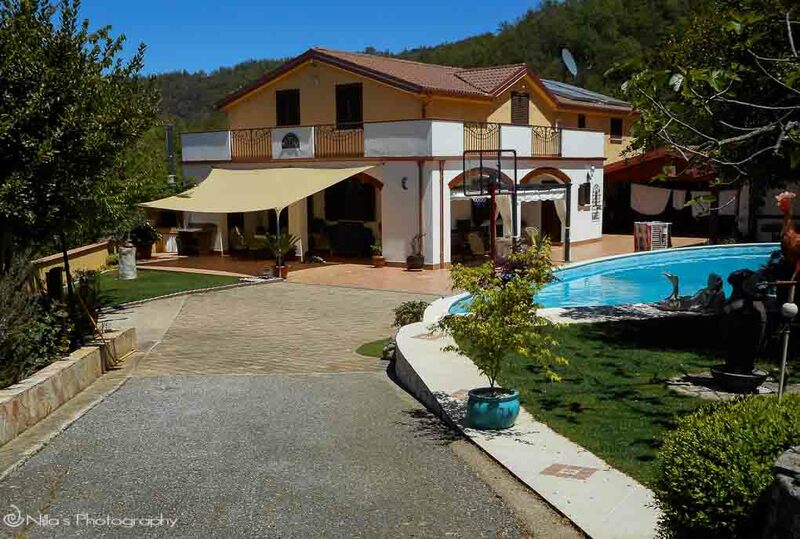 More like a country resort or retreat, complete with a lovely pool, who wouldn’t stay and enjoy house sitting at Casa Maria? 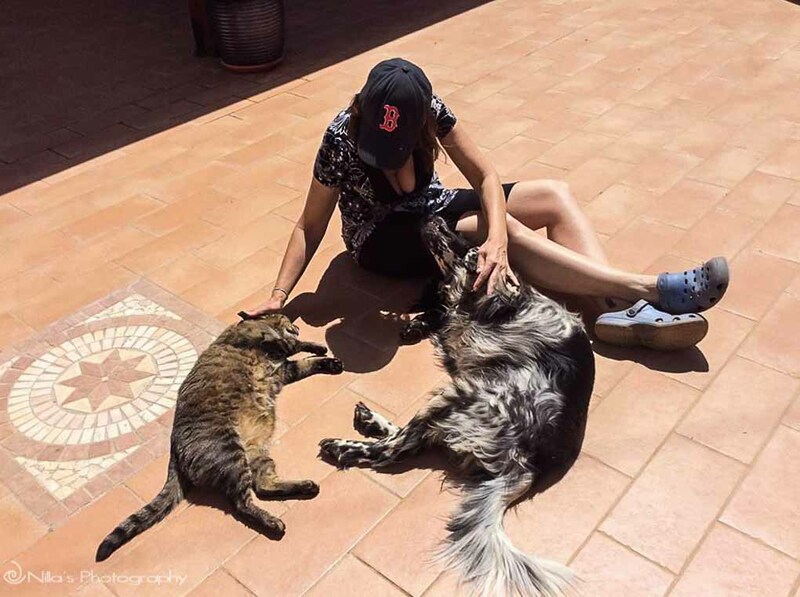 As our friends are taking a break for a week in Sicily, we are staying at their beautiful home looking after their menagerie: 2 cats, 2 dogs, a pony, a peacock, chickens, rabbits, bunnies, and 2 goats. Apart from the chickens and rabbits, all the animals have names of course, and are like children. After seeing the guys off in the morning, we are left to our own devices and hope like hell that we won’t loose any family members, whilst ‘Under New Management‘. 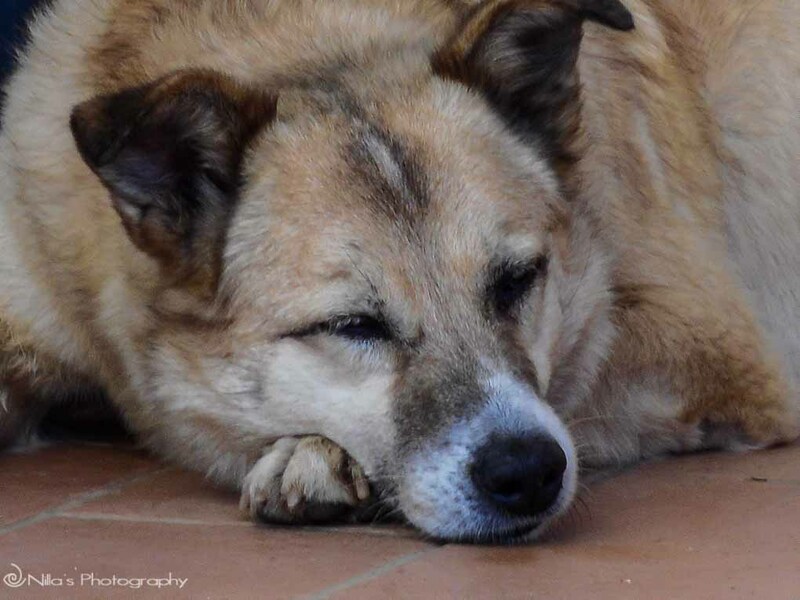 Warned of his trick in advance, Rocky the older dog is feeling sorry for himself at being left behind. And so, feigns a limp (an old car injury) for a little while, before realising his attempt does not make a difference on the new management. 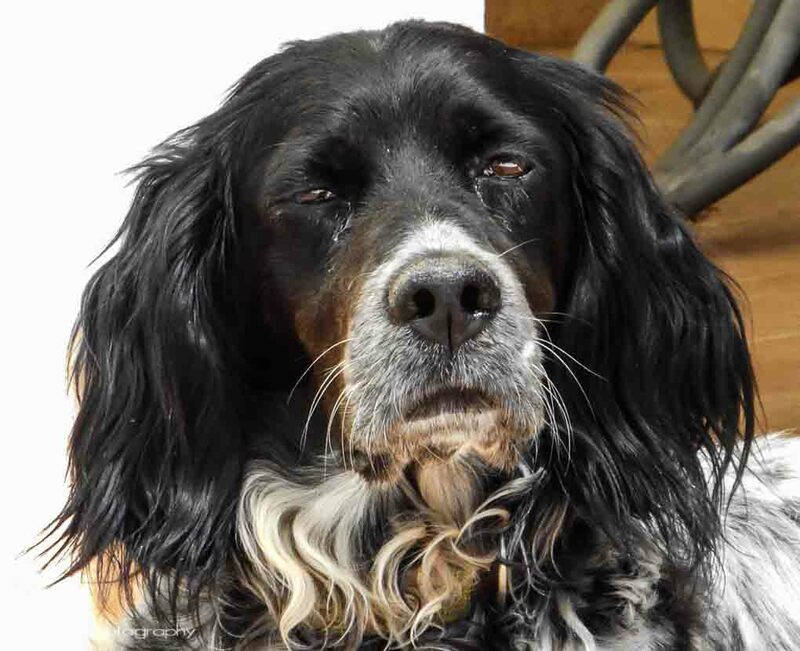 Sally, the younger dog, is an affection tart and doesn’t care who gives her loads of affection or food for that matter – it’s all the same to her, the little cherub. All the family members have their own great and cheeky personalities, which we have grown to know and love over the week. Bruno the miniature pony, is full of mischief when not being fed. Although during feeding time, nothing can stop him from his eating mission – and I can brush him without any problem, whilst he slowly munches away at his food. Although, I discovered rather alarmingly, that he is a frisky little devil in the afternoons and dusk…I won’t go into that little issue! The house-sitting week passes much too quickly as we indulge in copious amounts of puppy and animal love, not to mention exploring Rogliano. Southern Italy really is a region of extreme temperatures. 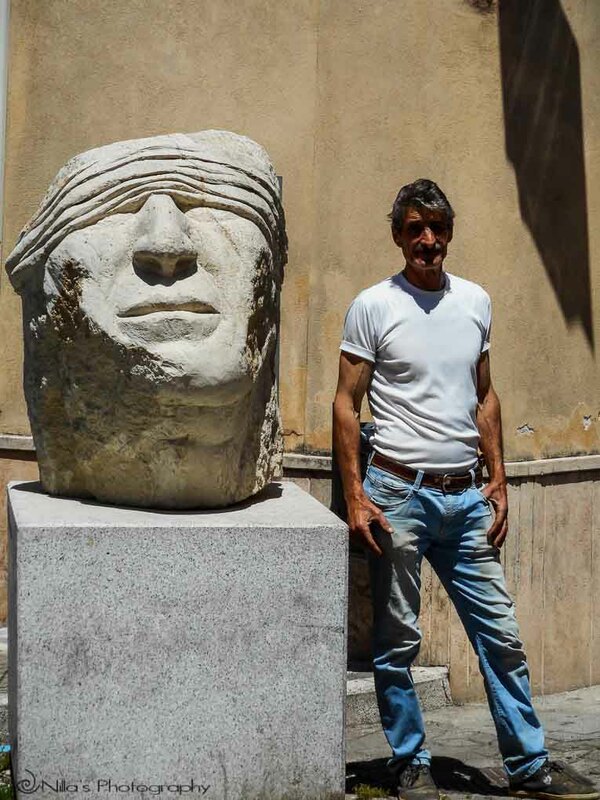 From experiencing the coldest winter Cosenza had in 72 years this January, to the hottest August on record for a very long time, Cosenza’s heatwave has me melting, especially after returning from Rogliano’s slightly cooler climes. In August, the temperature here reminds me of SE Asia, albeit not quite as high in humidity, but this is climbing daily. August 2016 wasn’t this warm. Typically, Rogliano is a few degrees cooler, but even in this village, it’s also balmy this year. The unusual number of bushfires this season have scarred the beautiful mountainous landscape, which I hope will recover with the coming rains. Visit Nilla’s Photography for more images. 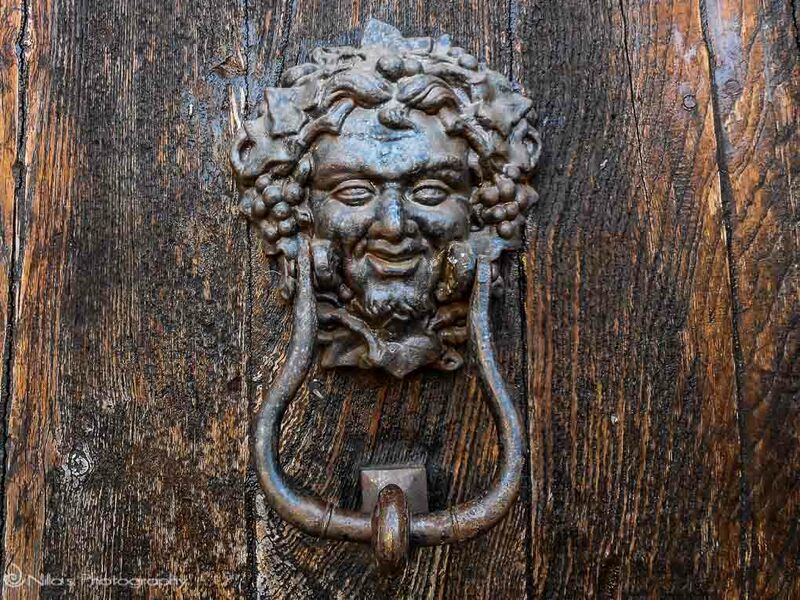 More posts on Italy at Image Earth Travel. Hi, we’re visiting now and wonder if this train is still running? I can’t find any information about it anywhere. 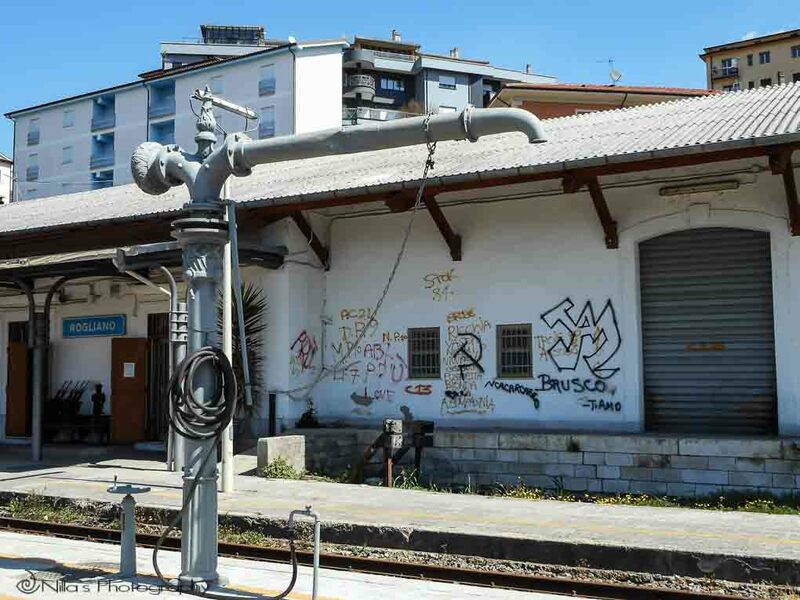 Hi, yes, this train runs all year but with reduced hours during the summer months – always hard to find out information in this part of Italy. I’ve found the Ferrovie della Calabria link with the timetable. Let me know how you go. Hi, Sorry to take so long to get back to this, but we did find the train when we were in Rogliano. We had to make our way back to San Stefano and ended up taking this train. It added to our adventure 🙂 Thank you for the post. Hi Carol, no problem at all and excellent you found your way – happy to help. 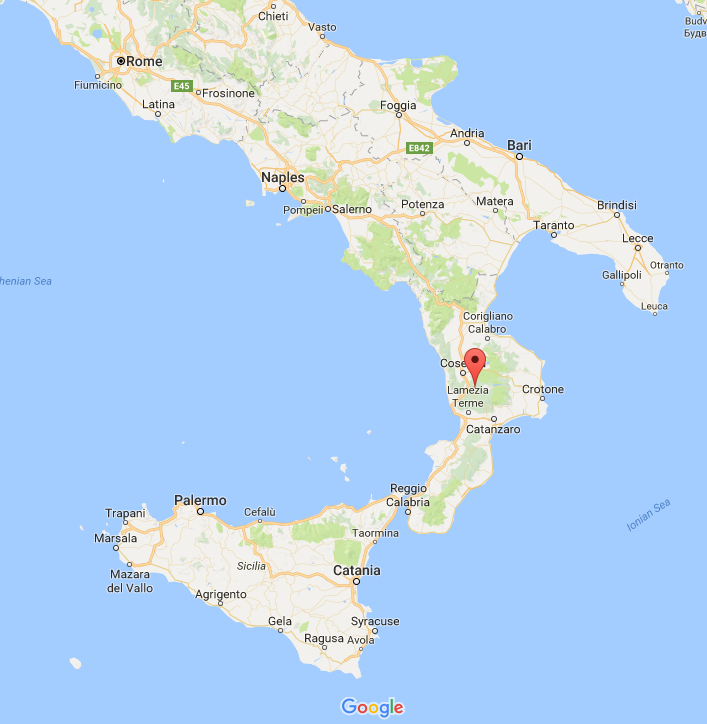 We are excited to visit southern Italy but we want to wait until we can get some vacation time in autumn to avoid those extreme temperatures you talk about. Your photos are always so beautiful and your posts so informative. Autumn is a much better time to travel and cheaper for everything. Really, April-May then September-October are the best months here and in Italy I think. Wat een prachtige reportage over dat dorpje in Italia.Heerlijke foto’s en informatie.Ik zou zo mijn valieqs pakken en vertrekken. I have created a YouTube channel related to my Heritage and have also started blogging on WordPress. I would appreciate all of the help, advice, and followers that I can gather! Also, subscribe on WordPress and YouTube (click the bell icon for all notifications) to get free Italian lessons and to learn about culture, and other great things I can show you! Thank you. My name is Christopher, TheItalianGuru. Hi Christopher, thank you for stopping by and leaving me a comment. I’ve followed your blog and hope you’ll do the same with my blog. Thank you for the lovely feedback Inese and hope that my posts encourage people to travel down this way. Very true, this region is really only popular with local tourists. Thanks for the advice, dear Nilla. You have an advantage as I thought that mid-September in Sicily would be quieter. I particularly love your post as Keith and Maria a good friends. It is a lovely place to spend and I know that they are great hosts. We’ve had many great times at Casa Maria and love returning – we popped in for a visit yesterday and also saw the beautiful Loredana (daughter). 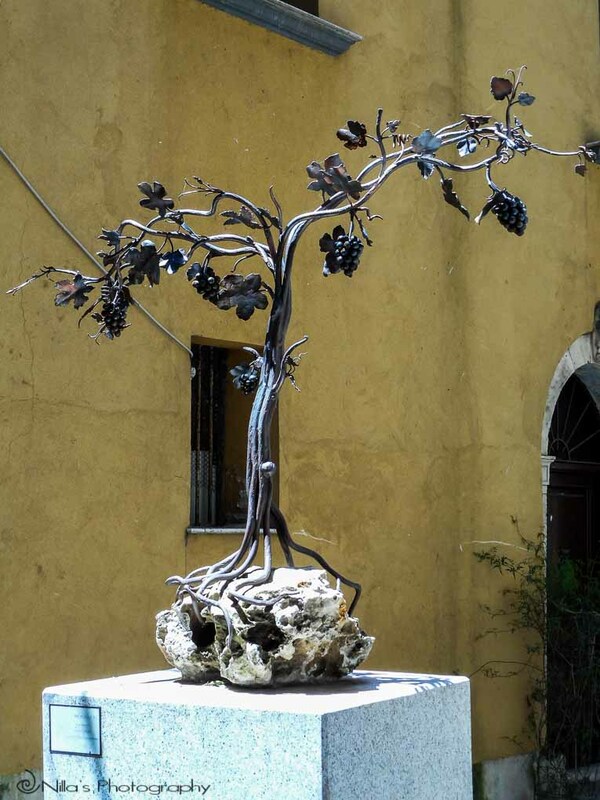 I love the sculptures… The grape vine has to be my favorite. Thank you for commenting Ndukwe! Great post! 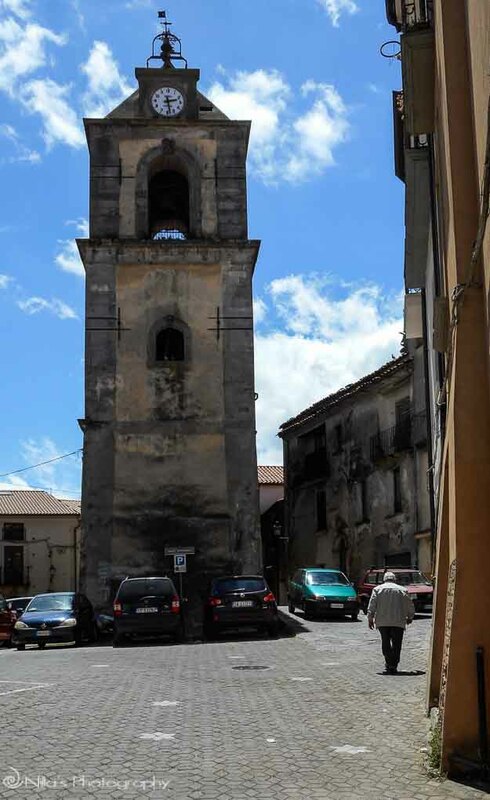 I love Rogliano and have spent a lot of time there because my dad’s town is nearby. As I was scanning the pics of the art on the Corso I thought to myself, I wonder if she took a pic of the grapevine? and then I saw it – it’s one of my favourites too! Well, the next time we’ll have to meet in Rogliano. Nilla, love the vineyard photos and of course, the cute animal ones 🙂 Looks a very old part of southern Italy. It’s not a vineyard but vines that are scattered around our friend’s property. The grapes are deliciously wonderful! Yes, it is an old part of Italy and not on the tourist path, which is always a bonus. Whoops, apologies Nilla, tired brain from walking up too many hills 🙂 Definitely a bonus being off the tourist path!! Many thanks for your kind feedback!